Recruitment case studies: we currently have 8. Any agency or media owner can submit case studies to our team and these 8 are the strongest we have received, with the most recent case studies at the top of this page. If you're interested in more digital marketing case studies then review our complete case study library. If you're interested in submitting case studies then email our case studies manager to find out more CaseStudies@DigitalTrainingAcademy.com. 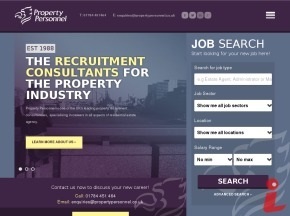 Recruitment is a competitive sector, so how can one agency stand out from the crowd online? This case study looks at how Property Personnel achieved a significant (375%) increase in conversions for its new website working with Vertical Leap. Does your brand have a good social media policy in place? This Twitter marketing case stud shows what can happen when firms engage in social media without having the right approach. Marketers being sacked by struggling retailer used the company's official Twitter feed to release their anger, creating a PR crisis. It makes for painful reading, but reminds every business how transparent the world is today. How far would you go to bring the best talent to your team? In Belgium, Ogilvy delved into murky waters by using pirate software sites to recruit cash-strapped (but ambitious) unemployed web designers. Ogilvy Brussels was looking for a new web designer with fresh ideas. They knew that unemployed web designers can’t afford the crazily expensive editing suites they need to work, and they may be tempted to download it illegally. In response, they uploaded a file supposed to provide the editing suite on many pirate sharing websites. When web designers downloaded the file, they discovered that the editing suite was not in the download. Instead, they gave them something else: a job opportunity at Ogilvy. Not only did it prevent them from becoming criminals and wasting time in the numbness of unemployment, but it also offered them a much better opportunity: a job at a leading agency. Tasked with increasing Monarch Airlines’ share of organic traffic, Greenlight devised a full scale search engine optimisation campaign to target 500+ keywords, auditing more than 800 web pages and targeting some fiercely competitive search terms. Since teaming up with Greenlight, the volume of qualified traffic to flymonarch.com has grown exponentially, reaching a current rate of 200,000 unique visits every month. The success of this campaign is evident in the 143,000 flight bookings it has generated and the 360:1 ROI it has delivered. With consistently prominent rankings across the major search engines Monarch Airlines is now the most visible airline in organic search results for the UK. The UK’s largest classified jobs website, fish4jobs understood effective search marketing was key to realising their full potential. That’s why the recruitment site chose Greenlight to research, formulate and implement a strategy capable of clearing a vital pathway between fish4jobs and its customers in the period from January 2007 to March 2008. 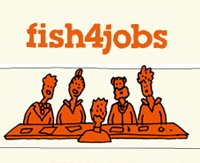 When we started work on the campaign, fish4jobs held more than 40,000 live adverts and attracted in excess of 3.3 million unique users each month. In order to retain this strong market position and advance it further, the company recognised the importance of maintaining visibility in the fiercely competitive online recruitment industry. In Greenlight fish4jobs saw a clear opportunity to extend its reach even further – and deliver a larger audience to its advertisers. 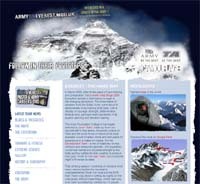 When the Army planned their assault on the West Ridge of Everest in 2006, there was an opportunity to engage young potential recruits by letting that story be told. Climbed only once in 30 years, only one group had ever made it to the top. PCIFitch were supplying the raw materials from the field back into the mainstream media as well as the web. The intention was to touch audiences through streams on the web, podcast downloads, iTunes and the broadest range of touchpoints. Over a million viewers enjoyed streamed content, blogs were posted to the site from the mountain and to feed into the recruitment processes, schools were targeted with lesson plans created for teachers and games for their students. Integration included downloadable posters and images, text alerts and more than a dozen different channels. The campaign went on to win the “Best digital campaign of 2006” at the Campaign awards. When we interviewed Peter Cowie, Managing partner at FitchLive who were behind the work, said “great work comes from the chemistry of the teams working together. The effect of the campaign included attracting 1m people, 30,000 of whom claimed they were ‘interested’ in joining the army. 3,500 are likely to be recruited as a direct result of the campaign”. For Peter it’s clear that “the future of advertising is about using all of these new channels together”. The "State of Mind" campaign for army recruitment in the UK is an excellent example of the impact video advertising can have. Developed by creative agency glue London, this campaign ran at the end of 2007 to promote recruitment into the Royal Marines. Strong production values, clever placement, and a simple idea proved that video formats can work well within banner spaces and not simply the 16:9 or 4:3 formats most directors gravitate to. The development of the campaign included shooting video especially for the web and allowing the online environment to dictate production needs and values.